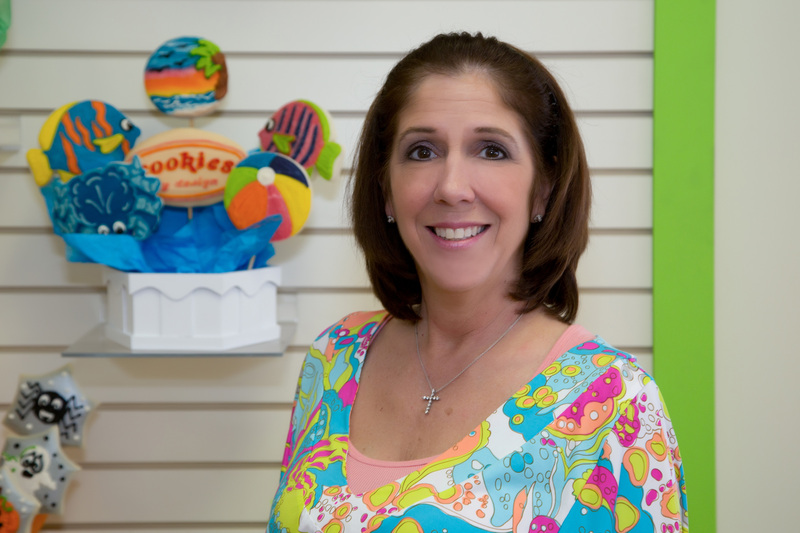 For over 28 years, Cookies by Design has been helping customers in the Broward and Dade County areas with their gift giving needs by providing beautifully decorated cookie arrangements, an extensive gourmet cookie selection, as well as other specialty gifts like Truffles, and Brownies. We bake cupcakes, coffee cakes, whoopie pies, petit fours and other specialties fresh to order, so please call ahead for these items. We handle individual and corporate gift giving with custom cookie bouquets and gift baskets for any occasion. Our cookie experts are here to help craft the perfect unique gift for your celebration. Each of our signature sugar cookies is freshly baked and hand-decorated right in our bakery and can be customized with a name, special message, logo or even a photo. 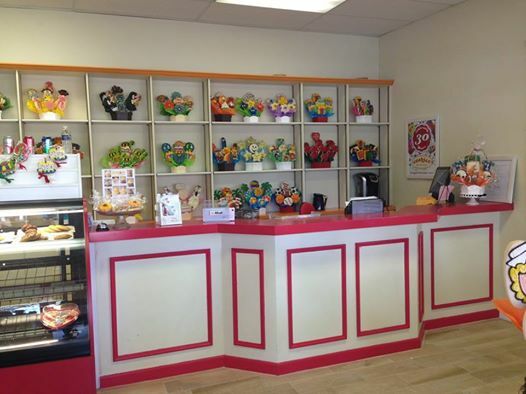 Stop in our Fort Lauderdale bakery located on North Federal Highway, in the shopping center just north of Sunrise Blvd, on the west side of the street, across from the large Audi dealership and catch the aroma of our fresh baked gourmet cookies and treats. Grab a treat for yourself or have a gift basket delivered to a loved one. We always have samples for you to try! 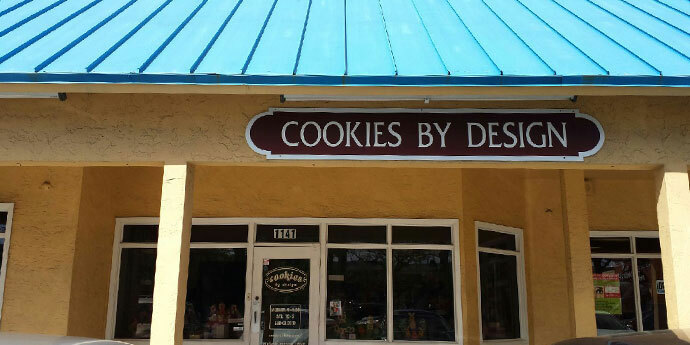 We offer cookie delivery or shipment to Fort Lauderdale, Oakland Park, Wilton Manors, Pompano, Lauderhill, Plantation, Davie, Weston, Hollywood, Cooper City, Pembroke Pines, Miramar, Lauderdale By The Sea, Sea Ranch Lakes, Hillsboro, Lighthouse Point, Margate, Tamarac, Dania, Hallandale, Pembroke Park, North Miami, Miami Lakes, Opa-Locka, Miami Beach, Carol City, South Beach, Surfside, Miami Springs, Coral Gables, Coconut Grove, Bal Harbour, Sunny Isles, Biscayne Bay, Key Biscayne and Kendall. Anne Bates Leach Eye Hospital, Aventura Hospital and Medical Center, Baptist Hospital of Miami, Coral Gables Hospital, Doctors Hospital, Douglas Gardens Hospital, HealthSouth Rehabilitation Hospital of Miami, Hialeah Hospital, Homestead Hospital, Jackson Memorial Hospital, Jackson North Medical Center, Jackson South Community Hospital, Kendall Regional Medical Center, Kindred Hospital South Florida - Coral Gables, Larkin Community Hospital, Mercy Hospital, Metropolitan Hospital of Miami, Miami Children's Hospital, Mount Sinai Medical Center, North Shore Medical Center, Palmetto General Hospital, Palm Springs General Hospital, Select Specialty Hospital - Miami, Sister Emmanuel Hospital, Coral Springs Medical Center, Imperial Point Medical Center, Holy Cross Hospital, Broward General Medical Center, Memorial Regional Hospital, Northwest Medical Center, Memorial Hospital Miramar, Memorial Hospital Pembroke, Memorial Hospital West, Plantation General Hospital, Westside Regional Medical Center, North Broward Medical Center, University Hospital and Medical Center, Cleveland Clinic Hospital. Baptist Health, American Airlines, Carnival Cruise Lines, Florida Power and Light, Royal Caribbean Cruise Lines, Celebrity Cruise Lines, Bank of America, Merrill Lynch, N.C.L. Corporation, Federal Express, American Express, Miami Herald Publishing, Fountainbleau, Burger King, JP Morgan Chase, Lowes Miami Beach, Seaboard Marine, Autonation, Miami Dolphins, Miami Heat, Florida Panthers, Ed Morse Automotive Group, Elizabeth Arden, Spirit Airlines, Aero Toy Group.